No More 404s! Resurrect dead web pages with our new Firefox add-on. 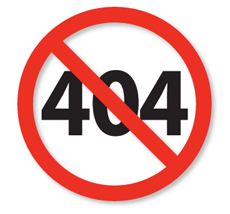 Have you ever clicked on a web link only to get the dreaded “404 Document not found” (dead page) message? Have you wanted to see what that page looked like when it was alive? Well, now you’re in luck. Recently the Internet Archive and Mozilla announced “No More 404s”, an experiment to help you to see archived versions of dead web pages in your Firefox browser. Using the “No More 404s” Firefox add-on you are given the option to retrieve archived versions of web pages from the Internet Archive’s 20-year store of more than 490 billion web captures available via the Wayback Machine. See the banner that came down from the top of the window offering you the opportunity to view an archived version of this page? Success! For 20 years, the Internet Archive has been crawling the web, and is currently preserving web captures at the rate of one billion per week. With support from the Laura and John Arnold Foundation, we are making improvements, including weaving the Wayback Machine into the fabric of the web itself. “The Internet Archive came to us with an idea for helping users see parts of the web that have disappeared over the last couple of decades,” explained Nick Nguyen, Vice President, Product, Firefox. The Internet Archive started with a big goal — to archive the web and preserve it for history. Now, please help us. Test our latest experiment and email any feedback to info@archive.org. This entry was posted in Announcements, Wayback Machine - Web Archive. Bookmark the permalink. 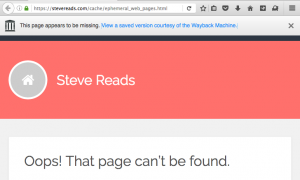 10 Responses to No More 404s! Resurrect dead web pages with our new Firefox add-on. I am not using Firefox browser. I am looking for a change in my blog dead end of 404. If you use Chrome, you could vote for https://bugs.chromium.org/p/chromium/issues/detail?id=637582 by “starring” it. I use a simple Bookmarklet to open a page in the archive. 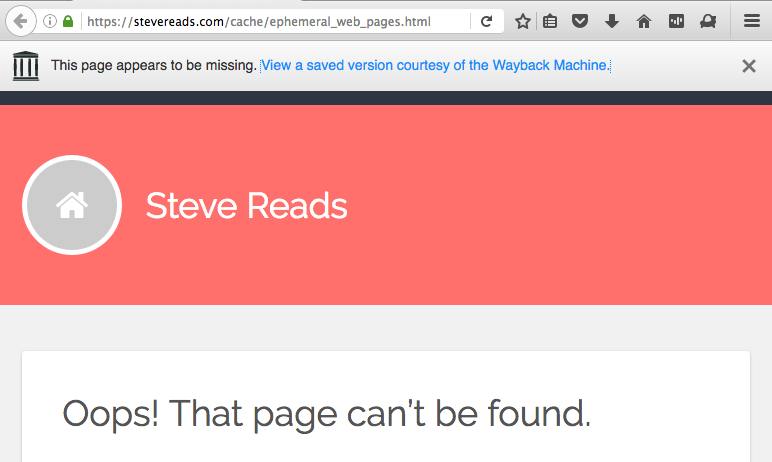 Unless you are redirected to another page because of the 404, it works well. Otherwise you have to copy and paste at the website. I’m a dmoz editor. We have the Wayback Machine as a resource for checking dead links but it will be even nicer to have it right on the browser. Luckily I use Firefox when I’m working at the directory. I hope a Chrome tool comes out soon too. This is a brilliant idea! A real ‘Lazarus’ plugin! Downloaded and installed. Long live all the dead web pages! Is this Firefox browser different from going to the Wayback machine on the top of the internet archive site? If so, how different? Am I going to be able to view different pages on the same site which were unavailable on the Wayback Machine? I’m particularly interested in a genealogy site which was available from 1999 to 2013 (its changed servers in 2003), but it’s partially archived only until 2008. In this website there was a lot of pictures. There is a space for the pictures but most of them are not there. [the picture icon is broken] I used to be able to find something on the database, but no longer, just the ‘gallery’. ‘This page is available on the web!” WHERE? “Help make the Wayback Machine more complete! I think I’ll just wait for Firefox 49, but this is definitely an exciting feature to which I’m looking forward! I installed this and tried to view your test 404 page. I still see just the 404 page. No information at all about the Wayback Machine. I love your site and use it, but I will un-install this plugin and wait for it to be included in FireFox. I only use FIREFOX and will give the wayback machine a try. Firefox has never let me down.